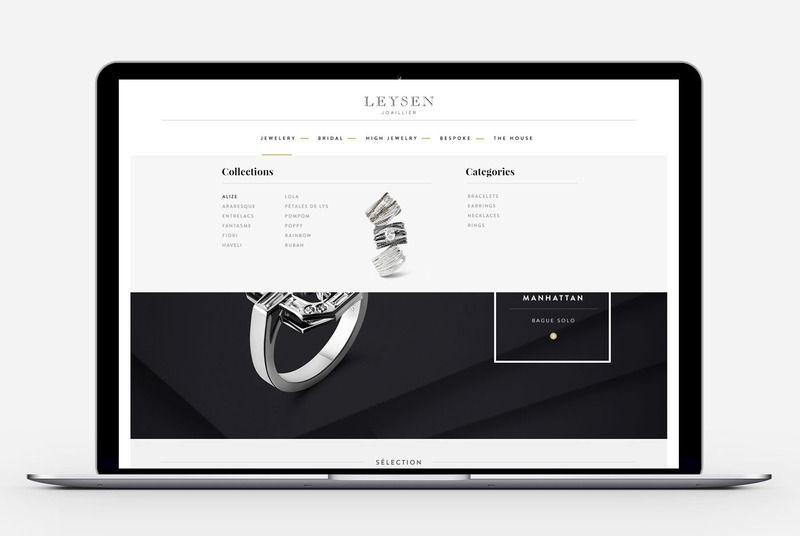 Jewellery maker Leysen is a brand that has been practicing its craft for more than 160 years. It is part of the prestigious group of patented providers of the Belgian Royal court. 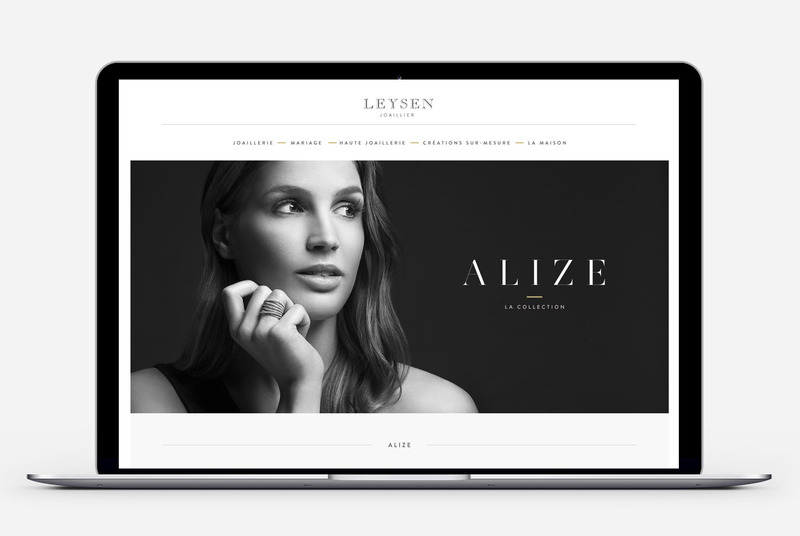 A website can appear to be an uninspiring medium for a luxury jewellery brand such as this. 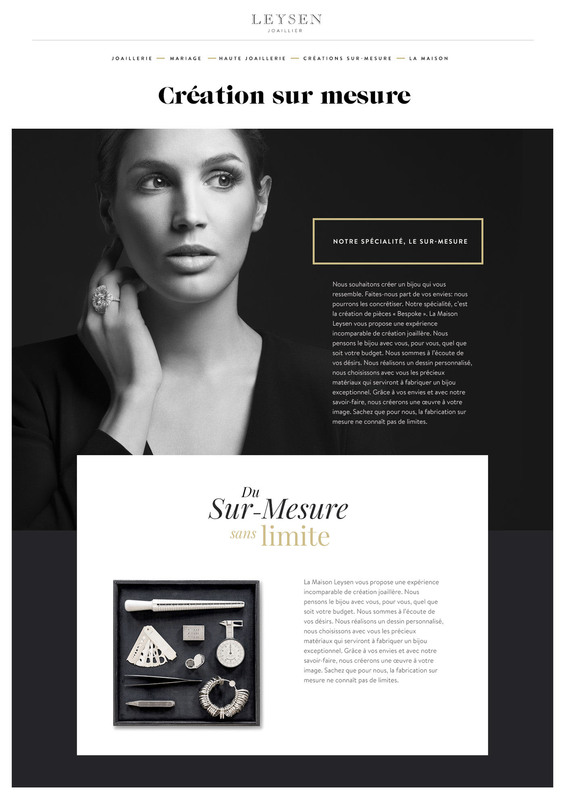 It’s not easy to offer a digital experience that matches the magic and mystique of an exclusive boutique. 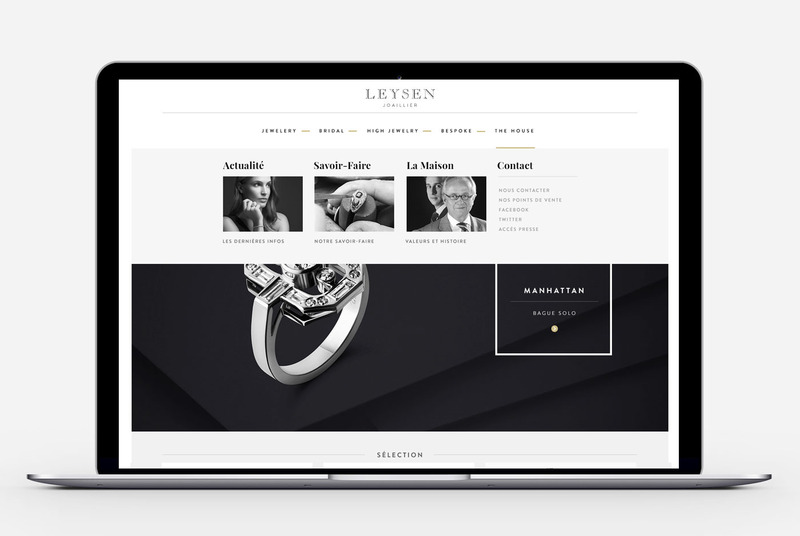 Synonymous with excellence, luxury and sophistication, the Leysen brand had to present the magnificence of its creations in a digital setting to share and convey the elegance and exclusivity of its collections and latest designs through a rewarding interactive experience. 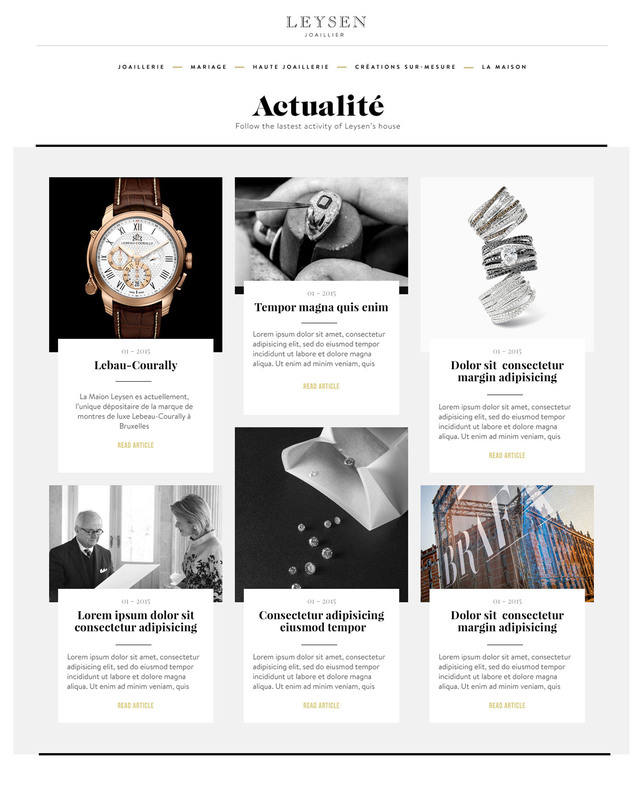 This called for a subtle and harmonious mix between the site’s visual richness, elegant graphics, content clarity and user-friendly navigation. No compromises had been made between aesthetics and technical constraints such as SEO and downloading speed. 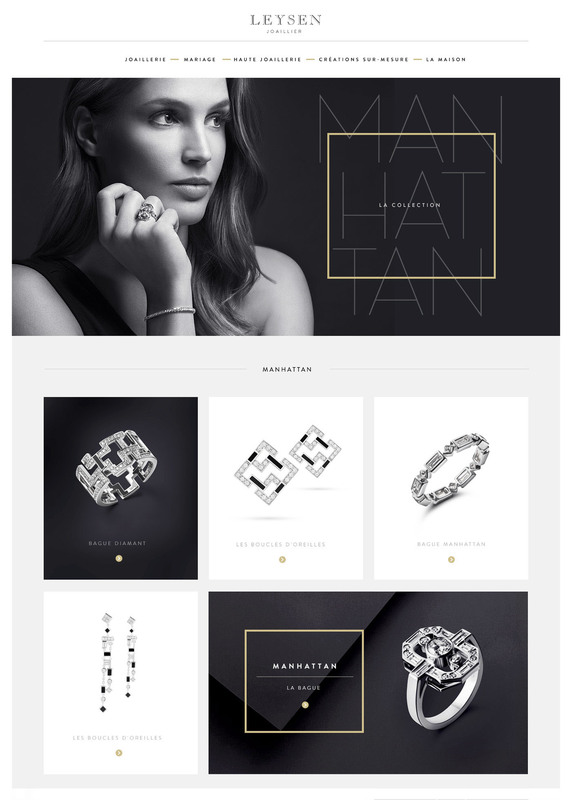 Painstaking care and attention was given to every detail such as the finesse and delicacy of the animations in the menus or transitions between pages; all work together to convey the prestige and refinement that the brand affectionately values. As in the shop, all is arranged to invite contemplation such as the choice to show the pieces in full screen so users have a better experience of discovering the authentic craftsmanship hidden behind each piece. 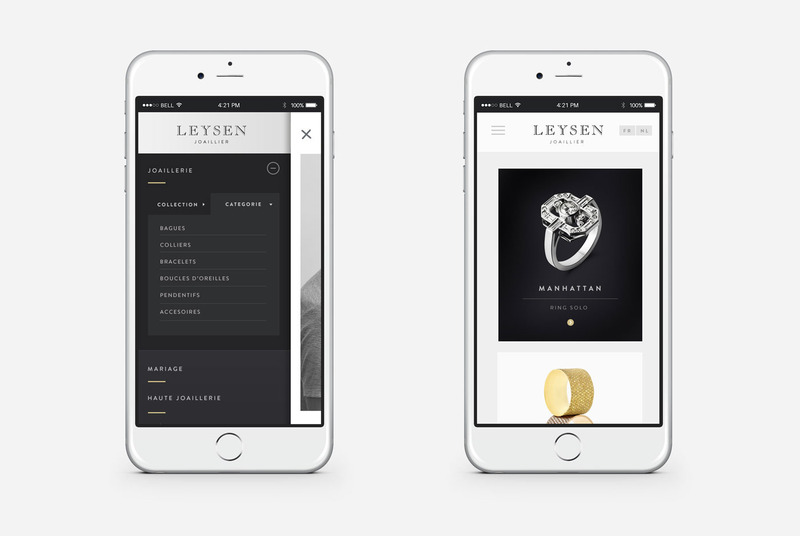 Everything has been designed to offer the perfect digital experience as smoothly as possible on whatever device is being used; this is thanks to a completely « responsive » site that fits and adapts to each screen and device.